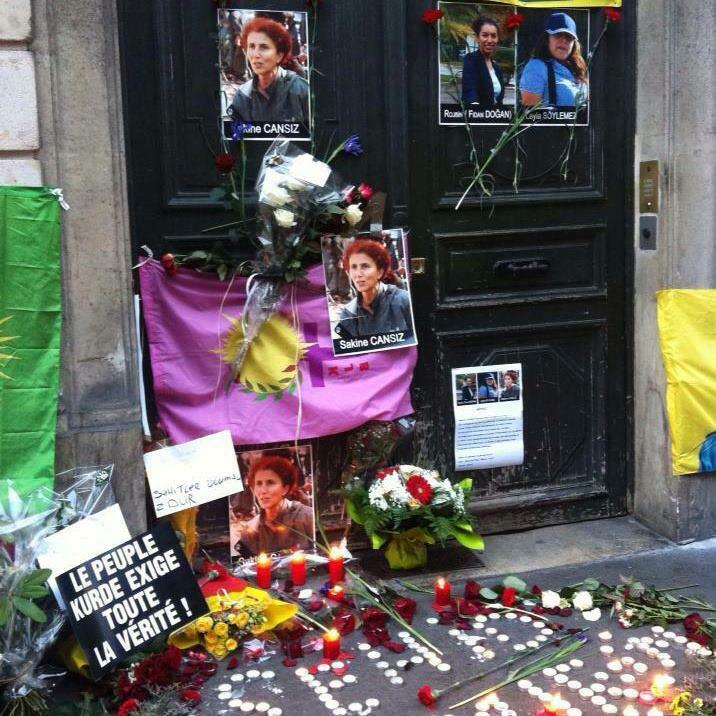 ANF, PARIS — Speaking in the Paris Kurdish association where messages of condolences for Sakine Cansız, Fidan Doğan and Leyla Şaylemez have been arriving since yesterday, Peace and Democracy Party (BDP) co-chair Selahattin Demirtaş said the killings are a “murder against Kurdish leader Öcalan”. “No revolutionary should be victim of such a terrible attack. The way the executions were carried out show how vicious those who wanted to hit Kurds are”, said Demirtaş. The BDP co-chair added that “If the French government doesn’t want to be a party to these killings, it has to carry out a thorough investigation into this execution. We want to believe in the sincerity of the French government but nobody can tell or convince us that the executions were carried out outside the knowledge of French intelligence service”. Demirtaş underlined that the French intelligence service has been sharing the information on Kurdish families living in the suburbs with Turkish intelligence service. BDP co-chair called on the French state to conduct a thorough investigation into the killings to honor their debt with the Kurdish people. The bodies of three murdered Kurdish activists have been referred from the Forensic Medicine Institution to a hospital’s morgue. Families of the victims are filing an application to reclaim the bodies of the three Kurdish women. The mass demonstration in Paris on 12 January to condemn the killings will also be joined by BDP co-chairs as well as DTK (Democratic Society Congress) co-chair Aysel Tuğluk and independent deputy Leyla Zana.